NCDC changes from national record keeper to advocacy group | Watts Up With That? Foreword: As you may recall, I was invited to speak at NCDC (National Climatic Data Center) back in April about the surfacestations project by Climate Reference Network chief scientist Dr. Gary Baker. It was a good visit, and I appreciated Dr. Baker’s good humor, candor and straightforward no-nonsense scientific approach to surface measurements. While I was there, I met with Dr. Tom Karl, as well as Dr. Peterson. During that meeting with Dr. Karl I had no hint of the type of rhetoric used in this document which is now in preparation, but Peterson was clearly trying to convince me on his position, in fact he had asked to be added to my visit schedule specifically so that he could put on his presentation for me. To say the least, I’m shocked that NCDC’s leadership has changed from being the nation’s record keeper of weather and climatic data, to being what appears to me now as an advocacy group. The draft document reads more like a news article in many places than it does a scientific document, and unlike a scientific document, it has a number of what I would call “emotionally based graphics” in it that have nothing to do with the science. Dr. Roger Pielke does a good job of summarizing the issue, and his commentary is below. He also clearly points out a conflict of interest. From my perspective, this is bureaucracy at its very worst. The Draft report Global Climate Change Impacts in the United States has been released. There is an announcement of the Public Review Draft of the Unified Synthesis Product Global Climate Change in the United States. Public comments are due by August 14 2008 [Climate Science readers are urged to submit comments]. This US Climate Change Science Program (CCSP) report is Co-Chaired by Thomas R. Karl, Jerry Melillo, and Thomas C. Peterson with the Senior Editor and Synthesis Team Coordinator Susan J. Hassol. These are the same individuals who have led past CCSP reports (e.g. see and see), with Tom Karl and Tom Peterson deliberately excluding scientific perspectives that differ from their viewpoints (i.e. see). Susan Hassol was writer of the HBO Special “To Hot Not to Handle”. This HBO show clearly had a specific perspective on the climate change issue, and lacked a balanced perspective. The HBO Executive Producer was Ms. Laurie David. A clear real conflict of interest is obvious. the human influence [on the climate system] is dominated by the emissions into the atmosphere of greenhouse gases, particularly carbon dioxide. natural variations are more important than recognized in the Karl et al CCSP synthesis report and that the human influence involves a diverse range of first-order climate forcings, including, but not limited to the human input of CO2. The remainder of the Karl et al CCSP report necessarily miscommunicates climate information since it is built on their incorrect focus on “reducing heat trapping emissions”, rather than also on the role of natural variations as observed in the past, and on the other first order climate forcings such as the role of aerosols in precipitation, nitrogen deposition and land use/land cover change (e.g. see). is not supported by the observational evidence (e.g. see where an example is presented of past data that we should use to plan for the future). Thus the conclusion is that the US CCSP Program has failed in its mission. These reports have become stale and in-bred, since the same people are repeating their perspective on the climate issue. The CCSP program, initiated within the Bush Administration, offered the opportunity to provide an independent assessment of the role of humans and natural variability in the climate system, as well as a comprehensive framework for reducing societal and environmental vulnerability to risk from climate variations and change through adaptation and mitigation. The CCSP process, however, has not succeeded in this goal. As recommended in the Climate Science weblog [see] we need new scientists who are not encumbered by their prior advocacy positions on climate change to lead the preparation of balanced climate assessment reports. The response of the media when this report is released in its final form will also be enlightening. Those reporters who parrot the synthesis without questioning its obvious bias and conflict of interest should be identified as sycophants. Those who adequately communicate the diversity of scientifically supported disagreements with the report should be lauded for the true journalist that they are. August 1, 2008 in Uncategorized. Well at least now they are showing their true colors. They have taken the typical government side of intimidation and lack of concern for equality of debate and ambiguity. Take for example: war on drugs, war on war, war on climate. If one thing is certain…OUR COUNTRY LOVES WAR. Disclaimer: I’m not saying that I’m 100% correct, against war, or pro-war. I’m just saying that may be there is a pattern happening. Now, where the hell are other people keeping these power hunger fellows at the NCDC in check from going bonkers over their love-child theory?! Come on! Sensibility (or lack thereof) please! Just posted on IceCap. Interesting article. I’ve started reading this, but it is hard. I have to take it in small doses. In fact I haven’t gotten past the first couple of slides that are so full of pseudo-scientific, alarmist nonsense that it is hard to take this seriously. This is a sad day for science. A sad day for our government. A sad day. May I propose one blog on each section of the report where readers can post their responses or raise particular concerns that need to be collectively addressed. This first blog could address overall issues. e.g., that it is a one sided political advocacy document, not a balanced scientific perspective giving both majority and minority positions. Another Al gore thing. All hype, little science. When this is eventually exposed as the fraud that it is, these people should never be granted another grant again. I hold people responsible for their actions. I unloaded…respectfully…three days ago, addressing their failure to include the impacts of natural variables. You’ve got less than two weeks to let them know where they’ve failed. This change is much like the U.K’s MET. Our position is well documented in this article http://www.forbes.com/opinions/forbes/2008/0811/094.html. The world is laughing at our stupidity! This AGW movement is so big, I think it’s pointless to try and fight it. Maybe we should focus on trying to change the methods planned to fight AGW such as cap and trade. I wonder if they will be showing styrofoam ice sheets breaking up and drowning polar bears? The real problem is that all those people who wouldn’t believe the government stance on any other issues will believe this crap. I’m getting real tired of trying to tell people who are too young to remember Nixon–or Firesign Theater for that matter–why everything they think they know is wrong. But I shall endeavor to carry on. The Norwegian Metrologic institute has on their page on “climate myths”. 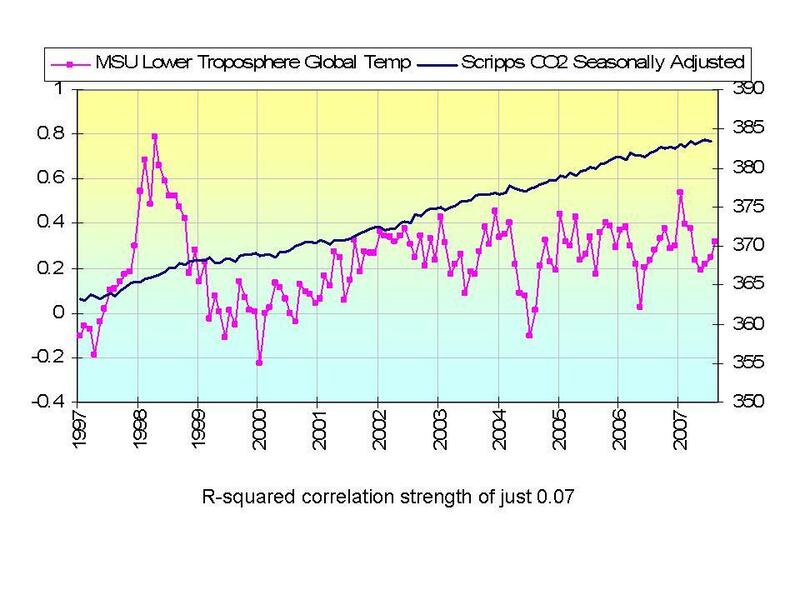 Among those are the “myth about the hockey stick debunk” and several links to realclimate. SIGH…. What is going on with Western science? It’s as though we now have Stepford scientists – perviously rational men and women have been replaced by AGW androids. No wonder the Russians, Chinese, Indians etc can’t take any of this seriously. Get used to it. The Democrats are practically a shoo-in next November and come next January, these folks could be out of work. You didn’t expect differently, did you? This is like reading a wall street tout saying that the DOW will hit 20,000 this year. “Alaskan summers are becoming longer and drier.” — Anchorage may see record low temps this summer. It’s a pain when reality keeps interfering with the Truth. Maybe these are all transient, but it gives me a warm feeling to know that these experts are so sure of themselves. Yeah, right. I worked with a fellow in the telecommunications industry that would judge people on substance and accountability. The person who tried to be politically correct and didn’t have ducks in a row was thrown out of his office (and usually returned to the desk holding a pink slip). You could disagree with him (see rule 1) and live to tell about it. I found him demanding but fair, and even considered him a friend. Too bad more like him don’t exist in government. I like Pielke, who says what he thinks and bedamned the flack. Keep it up! Sadly, something similar seems to be happening in The Planetary Society (I have been a member for ~20 years). A few days ago I received their magazine “The Planetary Report” (July/August 2008) which normally is full of interesting space science. Not this time. It has suddenly transformed into an alarmist magazine, praising IPCC on almost every page … Page 12: “To reach 90 percent certainty in any scientific work is remarkable, but the Intergovernmental Panel on Climate Change (IPCC) has reached this unusual state” . I am disgusted. Did I mention that on page 15 thereis an illustration to the IPCC article that shows satellite images of Burma and the Irawaddy delta April 15 and May 5, 2008. The implication is of course that the Typhoon is blamed on global warming. There is another picture of broken houses and a Buddha on page 19. But is that all? No. On page 20 there are pictures from the Sichuan (China) earthquake disaster May 12. Apparently, global warming caused that as well… ? On the back page is the mandatory polar bear stretching from one ice-berg to another over open water. I am not likely to renew my membership. Oh.My.God … what a blatantly inaccurate, and biased report. I just skimmed through it and was flabbergasted at the continued use of model projections even though those same models have been shown to produce highly exaggrated results. This is nothing more than an attempted coup. What I like is the temperature graph on Page 1 of the report. This chart needs to be amended with another line – “temperature warming predicted by the climate models” – which would be a little more than twice the trend, increasing from -1.2F to +1.5F rather than the actual temperature increase of -0.6F to 0.75F. With CO2 increasing by over 100 ppm since 1880, we should have seen something like half the total increase predicted by a doubling of CO2 or half of the predicted 3.0C (5.4F) – the impact of CO2 increases are exponential. Very, very disappointing. I expected better from them. First quick reaction — and I’ll be submitting some kind of response — is that it is an inexcusable failure of the public trust. Isn’t this supposed to be an independent assessment? As anybody noticed how often they are citing IPCC? It’s even worse than AR4, though. AR4 eschewed the hockey stick, didn’t they? It rears its ugly head here in an unattributed graphic on Page 19. No way is this, as it presently stands, an independent, scientific, assessment. It is a PR hatchet job. I want my (taxpayer) money back! All hail the government sponsored stiff arm of “science”(TM). I have a problem with this statement beyond that noted by Dr. Pielke. When I see statements like this, what I also see is an underlying assumption that climate and weather patterns are fixed, as though in a closed controlled system. Further, it feels as though another implicit thought is present and that is that the increase in levels of CO2 has thrown a stable, ordered system into wildly chaotic disorder. The climate is a wide open, chaotic system. It is predictable in only the broadest of brush stroke treatments. Even forecasting the weather is an iffy proposition. You ever plan on a Saturday picnic based on the Friday forecast for sunny & mild, only to have a dreary, misty, chilly day? Whoops – they did it again. We keep studying and hopefully we keep learning. But if we keep presenting papers such as this then the science of climate will just become a sub-branch of political science. Don’t put up with the Hassol! You are PAYING for this B.S. This type of conflict of interest on the taxpayer’s time & dime is ILLEGAL. Whatever else the Bush administration has stood for, science hasn’t been a high priority. Rather sad. That’s a huge increase that starves other deserving science programs, — especially in the face of recent studies such as this recent peer-reviewed paper, which proves that no climate model is, or can be, accurate. Government organizations such as NASA have been turned from non-political science bodies into ravening money grubbers, salivating at the thought of millions upon millions of additional tax dollars every year, year after year. Note that there isn’t one dime allocated to studying whether the climate is experiencing natural fluctuations within normal geological cycles. James Hansen and the scientists he retains on his staff are corrupted by money. Most know the truth, but keep silent in fear of retribution from the boss, who has called for trial and imprisonment for those who disagree with him. The AGW/climate disaster is a discredited hoax, based on a scam to get ever more tax dollars by scaring the general public. As the excellent link posted by BUCKO36 in the second post, one quarter of our population doesn’t know that the Earth revolves around the Sun. How can we fight ignorance on that massive scale? I assume this quote was Roger Pielke’s? Historical climate data is rich and varied—from multiple studies of ice core data to eustatic sea levels—but one thing is consistent: all of the deep historical patterns demonstrate that the present condition is not all that unusual. The very vocal AGW promoters do not benefit from any consideration of historical climate data, so they simply discard it completely and encourage others to dismiss it out of hand. For example, consider R. Fairbridge’s reconstruction of Late Holocene sea levels (past 6,000 years) from 1976. The worst-cast scenario as postulated by the IPCC leads to a sea level that is just shy of the average sea level during that period of human civilization. Further, the predicted rise that will ostensibly inundate vast tracts of humanity will be no worse than the average of the past 2,000 years. They certainly do not want their followers to have a look at the Eemian Interglacial data. If we were to consider similarities between the Eemian and the Late Holocene Interglacials and then conclude that the present may roughly follow the pattern of previous Pleistocene interglacials, the Holocene climate optimum was reached 4,000 years ago and we are on the down slope to a protracted cooling. that doesn’t fit the agenda, do it must be discarded and buried. So it seems that Al Gore has again used his contacts to present his own version of reality. This is not the end though, lies always travel faster than the truth, keep up the excellent work. the lies and their source will be found out in the fullness of time. This new statement is testament to the work that Anthony and his team have done in attracting attention to the NCDC. It is a shame that the element of surprise is lost with the internet as Gore and the like will always have a counterpunch prepared. I wish some very rich American would take one or more of these issues up in a court of law. Surely tax payers have a right to be informed of the truth. Where data and numbers are concerned this should be easy to prove. Why has this not happened yet? Monckton was offering help to anyone in the US who had the money to take up a legal challenge against the man or his minions. 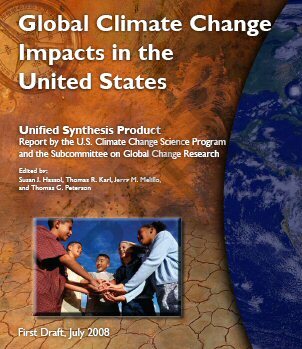 I actually find phrases like “Unified Synthesis Product” more frightening than global warming. There is something Orwellian about it: dissent will not be tolerated. When the argument is lost on the science and facts, fake it and lie. I still doubt people will willingly pay more in taxes so government can pretend to control the weather. It also looks like the weather is not going to cooperate with the lies. Carsten Arnholm (13:57:33) mentions something that fits a clear pattern: numerous formerly reputable periodicals and journals are doing an about-face, changing 180 degrees from reporting science, to being AGW/climate disaster advocates. As a subscriber to the Economist for the past three decades, and to the AAAS journal Science for two decades, I have recently noticed an immense change, wherein global warming advocacy permeates more and more articles. The Economist is now an advocate of, and a partisan for the [repeatedly falsified] hypothesis of AGW/climate disaster caused by rising CO2. The following is a typical example, from the current Economistissue. In an article on Canada’s military, the Economist reports: “There is even a plan for a naval port in Nanisivik, in the territory of Nunavut, and up to eight Arctic patrol vessels to fly the flag in the increasingly ice-free far north.” [my emphasis]. Similar pro-AGW advocacy is found in every issue of this once esteemed and unbiased periodical. The Economist certainly has the same access to government figures that we do here, showing that the Arctic has added 1.05 million more kilometers of ice cover this year. Yet they deliberately engage in AGW scaremongering. Why is this, and why are so many formerly reputable publications and journals suddenly putting out demonstrably false information? The reason is the “Hansen effect.” Deceptive proponents of the AGW/CO2 scare do not need to get to each individual reporter in order to convince them put comments like the one above into articles unrelated to AGW. Someone needs only to get to the person at the top, such as the Economist’s editor-in-chief, Mr. Mickelthwaite. The lowly reporter, eager to please the boss and keep his job, knows exactly what his marching orders are — and so he inserts a false comment about “the increasingly ice-free north.” After all, the reporter has a family to feed. As a hypothetical example, a newly-minted internet $billionaire, such as the very left-of-center Mark Cuban, or the even more leftist Grantham siblings running the Grantham Foundation, approach the editors in charge of publications such as the National Climate Data Center’s journal, or The Planetary Report, or Scientific American, National Geographic, Science, Nature, or any of the others that have recently become uncompromising advocates of AGW/planetary catastrophe — and make an offer. If your editor’s income is $150,000 a year, and someone with literally thousands of $millions to spend surreptitiously offers you, say, a $million or two a year, deposited in a Cayman Islands account, to convince you to “see it my way,” many [not all, of course] may decide that “everyone else is doing it, so why shouldn’t I? I have a family to support, too.” As can be easily found online, James Hansen has personally taken well over a million dollars from various AGW/climate disaster advocating foundations — that we know about. Granted, this is speculation. But looking at the same rampant corruption in numerous formerly reputable publications, only some of which are mentioned above — and which now all have recently decided to toe the AGW global warming line, despite extremely strong scientific and empirical evidence to the contrary — then what other theory of human behavior could account for the total corruption of science that we are now witnessing? Most likely because Gore and his minion Steve Howard have already recruited a lot of them to the AGW camp. Looking at Branson’s latest autobiog, this was done through 2006. I’m so dissapointed in Branson for this. I thought he was a lot smarter than to fall for these falsehoods. Slowly but surely the voice of reason and logic will overwhelm the lies. To you it is corruption, but to be corrupt involves huge amounts of money, and just looking at Exxon, I see $100 billion US per year at risk, so this explains why for years they attempted to squelch real science. Now it is apparent that science is winning over those who deny scientific progress. Thank god for the real scientists at the IPCC who labored long and hard to establish this long term threat to humanity. Thank god for great men like Al Gore and James Hansen who take on the big money vested interests, and are taking this issue front and center against the self centered and delusional, who are threatening our country and our planet in order to protect some special monied interests. I never repeat rhymes on this site but in this case I offer this consolation to you, Steve. The crow has been stewed. to get their just due. drat! please delete “dared” Please, my moderator? Pretty please? How are we to have faith in our governmetn when it cant make a statement that agrees with it’s own empirical data. Models are models but empirical data is observed recorded fact. What a shame that science has evolved to such a degree of ruthless controlling political power grab. Science may never recover from this debacle. I agree that those responsible should be held responsible. Make that jest, not gest. I have seldom read funnier parody than that of Paul K above. Boy, I don’t know to say. Would you like to buy a bridge? I hear there one for sale over by Brooklyn. How would you like it if your name was spelled in small caps. Why mention God’s name at all if you can’t be courteous? There are other synonym for the Deity’s name, you know. You’re suggesting conspiracy, and I reckon it’s simpler: you’re observing evidence of the continuing debasement of journalism. What Anthony Watts and Steve McIntyre do is actual journalism; they collect the relevent facts (e.g. a photo record of surface stations, Mann’s data, etc.) and then let us chew on what it all means. What passes for journalists these days, though, is different: they all attend the same parties, know the same people, and everyone in their group thinks in similar fashion to them. There’s political bias in the mainstream media for the same reason — many “journalists” are urban folk who simply don’t know many (if any) people not sharing their political view. They gradually tend to think then that their view *is* the mainstream; they don’t really hear much else from those they know. Thus the reporter who wrote of the “soon to be ice free” bit probably “knows” this to be true because everyone he knows also “knows” this to be fact. So does the editor. No conspiracy is required. Smokey (16:54:55): …then what other theory of human behavior could account for the total corruption of science that we are now witnessing? The condition is known as Information cascade – informational cascades and has given us a lot of very bad science, medicine, whatever from way back. That’s serious money. How much would this person offer an ordinary member of the public to insert pro-AGW messages in letters to newspapers, or in blog comments and the like? I do not ask this question for my own information, but I have a friend who not only has a family to support, but recently lost his job and was forced to default on his subprime mortgage. My friend would greatly appreciate contact details for this generous wealthy person. Could this be why many tree ring reconstructions indicate there was no MWP? Would you like a piece of humble pie? If you don’t get the science right you will get the policy wrong. Go back to the IPCC report and read it for yourself. You will be surprised at the difference between the rhetoric of alarm in comparrison with what the report says. Contrary to what many have said, you don’t have to be an expert scientist to read through the IPCC 4th assessment report. There are also other sources of reading material but I guess you won’t credit those in your current state of mind. Bear in mind where the tipping point was in the 1980’s compared with where we are now. “Climate change is a reality and science confirms that human activity is heavily implicated in this change. But over the last few years a new environmental phenomenon has been constructed in this country. The phenomenon of catastrophic climate change. It seems that mere climate change was not going to be bad enough and so it now must be catastrophic to be worthy of attention. The increasing use of this pejorative term and its bedfellow qualifiers, chaotic, irreversible, rapid has altered the public discourse around climate change. I have found myself increasingly chastised by climate change campaigners when my public statements and lectures on climate change have not satisfied their thirst for environmental drama and exaggerated rhetoric. It seems that it is we the professional climate scientists who are now the catastrophy sceptics! How the wheel turns! Why is it not just campaigners but politicians and scientists too who are openly confusing the language of fear, terror and disaster with the observable physical reality of climate change, actively ignoring the careful hedging of science’s predictions? If you can’t take it from someone who you believe is simply describing his right wing opinions then the above prose will hopefully make you stop and think about truth versus loud assertion. Louis Friedman writes, “Sadly, much of the past decade’s rhetoric about global warming has been based on political and ideological assumptions. But at our breakfast Kennel and Moore showed that data is not ideological, and that it tells us that global warming is a reality — whether it is caused by humans or not. It is affecting our world, and must be observed, monitored, and understood. Kennel and Moore also presented data showing a convincing correlation between carbon increase in the atmosphere and human activity. Carbon increase can’t be good, and so it too must be monitored and correlated with other global change effects. I am saddened but not surprised to see the AGW party line mantra expoused by the Planetary Society. While I agree wholeheartedly that space observations should be funded and not cut back since the essence of science is measurement and data, if you look into the data yourselves instead of listening to rhetoric from your Board Members, AGW ideological advocates from Scripps and elsewhere, you’ll notice a discrepancy between satellite global measurements and NASA’s Dr Hansen’s ground observatory measurements. Satellite data over this century does NOT match the AGW prediction models while Hansen’s much massaged data matches his philosophy. There is rightful skepticism about the location of many ground stations and encroaching human construction. Space advocates might also consider the recent anomalous behavior in sunspot cycles. More data to be taken, for those not taken with AGW ideological assumptions. It is hubris to believe that today’s computer models with insufficient variables incorporated and empirical dubious positive feedback factors assigned for CO2 accurately foretell future climate. Many thanks Philip Wilson…! It is good to see someone with proper command of English write this to the Planetary Society. I hope you don’t mind if I borrow some from your letter, I was considering writing a letter as well. It seems Northrop Grumman sponsored this edition. They probably have their reasons for doing so. I just googled National Climatic Data Center Mission Statement. Funny thing is I could find nothing that sounds like NCDC should take part in politics. NCDC is operating outside of their mission. You or anyone else, please feel free to adapt anything you wish from my letter. The folks running these orgs do need to hear from us, each with our own point of view. Note where the Plan Soc hired those Board members from, SCRIPPS, etc. For brevity, I did not cite past eras where natural CO2 was hundreds of PERCENT higher than today and animal and plant life flourished without climate runaway. Go figure. That being said, I fully support a concerted rational vigorous effort to transition off fossil fuels for many reasons, even including possible anthropic atmospheric alteration that we do not yet fully understand. But not economic hysteria. I’m ashamed at how the scientific profession has placed PC trendiness over vigorous testing of the radical claims of the AGW positive feedback hypothethis. I respect the opinions of anyone who believes that groupthink and herd behavior is sufficient to explain why the Planetary Society, Economist, Science, Scientific America, Nature, National Geographic, National Climate Data Center and many, many other journals and publications, which certainly must be well aware of the verifiable fact that the climate is cooling, and that no computer model is capable of predicting anything with accuracy, and that the Mann/IPCC “hockey stick” has been discredited, and that CO2 has no measurable effect on global temperatures. We discuss these facts every day here. If those things are factual, then you must conclude that not a single editor in chief of any of these publications has enough character or honesty to tell the truth, or to even allow skeptical debate to take place. Why is this? I am searching for an understanding of why every one of the journals above, and many more, follow the trail blazed by Al Gore and the UN/IPCC. As I stated above, I think money is the only logical answer. We already know that James Hansen has received gifts of over a million dollars — that we know of — from foundations and organizations that support Gore’s [repeatedly falsified] version of climate dynamics. You can see the result. I’m shocked that NCDC’s leadership has changed from being the nation’s record keeper of weather and climatic data, to being what appears to me now as an advocacy group. The draft document reads more like a news article in many places than it does a scientific document, and unlike a scientific document, it has a number of what I would call “emotionally based graphics” in it that have nothing to do with the science. What could cause this about-face? If there is a better explanation than money corrupting science, please tell me. I don’t want to believe that money corrupts to this extent. But there it is, everywhere you look. I would very much prefer to be proven wrong about this, and I hope someone shows me where I’m in error. Skunks never change their stripes! When the coming winter proves cold and the fuel prices high.On the heels of no new domestic energy plan that would have eventually promoted real relief. The “MOB” will suddenly drop the AGW B.S. and demand real answers.The democrats will be reeling and the republicans will be standing by in the minortity.Watching the storm break. I am sure that mother earth cares less.With PDO in the cool phase and quiet sun.To try keeping us warm in the winter.The “mob” can understand the reality of a cold winter just fine. Hassol is the wordsmith ringer. She’s a hired gun. The fix is in. The report will have the tone and demeanor of the IPCC reports, each chapter sounding the same. Those things are not factual. Mann has only been discredited within the skeptical community. There are no credible skeptics. There’s weathermen like this Watts guy and some sort of pesky economics amateur in McIntyre (both of whom are driven to discredit reputable scientists, probably from some sort of psychological issue), the odd physicist here and there to spice things up because they don’t have a real understanding of the special physics involved (e.g. astronauts know a lot about the rocket equation and engineering; they’re not climate specialists). The Wegman report, that was a republican sponsored hit piece brought to you by Sen Inhofe, and everyone knows he has an axe to grind. There is not any serious climate scientist or specialist who doesn’t agree with the major tenets. Yeah there’s a couple of aging and probably senile types who are skeptical but then again it’s obvious that the world has passed guys like Lindzen by. Besides, isn’t he one of that idiot Rush Limbaugh’s golf buddies anyhow? On top of this you also have the Bush administration trying to muzzle scientists (just ask the Union of Concerned SCIENTISTS) which is in character for an administration that obviously would be just as happy with a theocracy as science anyway. Didn’t they advocate faith based science in the classroom? Yep. They did. “Teach the (ID) controversy” says Bush. They also refused to sign Kyoto and their politics wouldn’t allow them to do so even if they were clever enough to “get it.” This is an administration that’s a fiasco and waged a war by oilmen for oil in a neverending Iraqi quagmire, so it’s no surprise that anyone with more than a single digit IQ is distancing themselves from these clowns as much as possible. Even agreeing with Bush that the sky is blue is anathema to having a career and being taken seriously. One problem is that the skeptical community isn’t organised. The range of skeptics is from outright denier (“Hansen’s data is faked!”) to those accepting at least part of the GW science as it stands but dubious of the economic consequences. Thus you have in this corner the AGW crowd who are all “specialists” and they have a constant message, and in this corner you have a ragtag range of stuff such that skeptics can’t even agree on what they’re skeptical about. Which one of these sounds coherent and believable? So now you have coherent/believable in one corner, and their opposition is not only incoherent, but seemingly just as likely to pontificate about the scopes monkey trial. In other words, a collection of kooks by way of comparison. Do you *honestly* think it takes MONEY? Smokey (15:10:29) : I respect the opinions of anyone who believes that groupthink and herd behavior is sufficient to explain… If those things are factual, then you must conclude that not a single editor in chief of any of these publications has enough character or honesty to tell the truth, or to even allow skeptical debate to take place. Why is this? Assuming you are here responding at least in part to my “information cascades” reply to you, Smokey, I suggest it is not a lack of character or honesty in these people you note, but it is that they have been so influenced by the cascade that they have come to believe AGW despite any previous doubts. These “cascades” have an incredible power in the mind, to the point where black becomes white; truth becomes lie. Private and personal doubt can be washed away by the sheer, overwhelming, force of the prevailing view to the point of… madness? I do not have the professional knowledge for a full explanation. I am running on gut feeling… but that feeling is though money or prestige may have been the original driver, and may well still drive the promoters, simple human frailty (of the mind) has allowed this lie to flourish, and to prove we have no more wisdom than those in our history who threw human sacrifices into cracks in the ground to appease the wrath of the Gods who quaked the earth apart in their anger against us (humanity). Careing for our variable Earth. Winning by Adapting to Climate. Diversity, Our People, Our Climate. 1. Money is involved, probably to a much greater extent than is openly reported. It is a corrupting influence on climate science. “Which one of these sounds coherent and believable” It is not a question of either/or. I never said that money was the sole problem; there is not one, single reason that skeptical scientists’ opinions are smothered and hounded out. But when a pro-AGW partisan in a highly visible position of authority is given over a million dollars by others with a pro-AGW agenda, it has a significant effect; how could it not? James Hansen is now in the position of accepting money in return for advocacy. Michael Mann and many others are recipients of grant money from foundations and others with a pro-AGW agenda. Can anyone seriously claim that the NCDC and many others others are absolutely free of tainted money? Do the people who are handing out millions to one entity suddenly decide to stop at that point, and hand out no more? They are buying advocacy. Why should they treat the NCDC, or any other influential publication, differently than they treat James Hansen? There is a reason that all the publications mentioned above are in pro-AGW lock step. And it isn’t because they’re overcome by some sort of Vulcan mind-meld, or mass hypnosis. 2. Most scientists are rational enough to look at data like this, and as a result, at the very least question the hypothesis that carbon dioxide causes global warming. This site and others are absolutely filled with skeptical data that refutes and falsifies the AGW/planetary catastrophe hypothesis. Honest scientists make decisions based on data, not emotion. 3. In determining whether to speak out, or to prudently remain silent as a job security measure, many skeptical scientists choose the latter alternative. And as we see repeatedly, those AGW skeptics whose honest opinions are made public are subject to constant scolding and really vicious ad hominem attacks. I agree with randomengineer that the skeptical scientific community [which, if truth be told, greatly outnumbers the true believers in the AGW/CO2/climate disaster hypothesis] is essentially leaderless compared with the warmers’ soap box of NASA/GISS and the UN/IPCC. That is a problem, which makes the skeptical argument more difficult to get out to the general public. Sites like this one are doing a great service by getting the truth out, and cracks in the AGW facade are starting to appear. The absolute refusal of those in the NASA and UN hierarchy to allow any formal debate, and indeed, their flagrant attempts to censor all skeptical opinion, shows their position to be bankrupt. But this cowardly tactic is somewhat effective in a country like the U.S., where 25% of the citizens do not believe that the Earth revolves around the Sun. If NASA and the UN say, “Planetary catastrophe!”, many people accept it as gospel. Concerning the hard-sciences community, however, I don’t think those scientists are being made so mentally dizzy by the AGW hype, that they now believe their eyes are lying to them. Physical scientists are able to look at the data and see that the planet has been cooling, not warming; and that a further doubling of CO2 would result in an extremely minor effect compared with the initial 20% increase; and that solar and oceanic effects are insufficiently accounted for by NASA and the UN; and that factors such as water vapor have been greatly underestimated by the UN/IPCC; and that CO2 has been up to sixteen times higher in the past [even during glaciation], refuting the CO2-causes-runaway-global-warming hypothesis. Instead, many scientists simply decide that keeping their opinions to themselves is the best course of action in today’s politically-charged world; James Hansen has demanded trial and imprisonment for those espousing a skeptical position. If you were Hansen’s AGW-skeptical subordinate, would you state your position? Or would you keep it to yourself in order to get your next promotion? I stand by everything I said about the corrupting influence of money on climate science. The Grantham Foundation, for example, gives multi-million dollar grants to Treehugger.org, and to the Yale Climate Media Forum, and to many similar AGW promoters. And there are many similar donors, like the Tides Foundation, the Heinz Foundation, the David Foundation, etc., which give millions of dollars to influential individuals such as Hansen and Mann — and they give not one dollar to skeptical scientists, or to skeptical organizations. And those gifts are what is on the public record. It is naive to believe that other, unrecorded payoffs never take place. Money has thoroughly corrupted the climate sciences. That is my central point. I’m not trying to argue with anyone here, or discount their belief that other factors are involved. But money — and plenty of it — is the main corrupting influence in the climate science community. The NCDC is only the latest casualty. Which one will be next? access to the Nation’s climate-related data and information, and is also responsible for assessing and monitoring the national and global climate. The National Climatic Data Center (NCDC) is the world’s largest active archive of weather data. NCDC’s mission is to manage the Nation’s resource of global climatological in-situ and remotely sensed data and information to promote global environmental stewardship; to describe, monitor and assess the climate; and to support efforts to predict changes in the Earth’s environment. This effort requires the acquisition, quality control, processing, summarization, dissemination, and preservation of a vast array of climatological data generated by the national and international meteorological services. NCDC’s mission is global in nature and provides the U.S. climate representative to the World Meteorological Organization, the World Data Center System, and other international scientific programs. NCDC also operates the World Data Center for Meteorology, Asheville. Do either of these allow AGW advocacy? When the “scientists” at the NCDC demonstrate that they can take an accurate temperature reading with a minimal level of competence in accordance with basic scientific standards, they can try their hand at trying to figure out what temperature patterns might mean. Until then, they lack sufficient credibility to tell me it’s raining outside. Can you imagine how much fun it would be to cross-examine one of these clowns as an “expert witness” in a trial? Contrast their doom and gloom scenarios backed up by consensus climate “science” with the fact that these scientists never even bother to check each others work. No one ever checked the temperature stations to see if they were competently sited. No one ever asked for the help of the world’s experts in modeling or forecasting. They just keep bumbling along in their own little bubble — driven by faith and oblivious to their own incompetence. You could completely pop the AGW alarmist bubble with one well-written 30 minute TV show making fun of the charade. Imagine George Carlin’s riff, but expanded to include the whole joke. Caption: This 1000-year record tracks the rise in carbon emissions due to human activities (fossil fuel burning and land clearing) and the subsequent increase in atmospheric carbon dioxide (CO2) concentrations and air temperatures. The earlier parts of the Northern Hemisphere temperature reconstruction shown here are derived from historical data, tree rings, and corals, while the later parts were directly measured. Suggested change: Delete both Figure and Caption. Rationale: the Mann tree-ring Hockey Stick reconstruction has been definitively shown to be unscientific, with a supportive finding to this effect by the NAS. NCDC’s inclusion of Figure fully discredits NCDC’s whole Report. Ipcc’s 4AR has also recognized the incorrect nature of the Figure and has thus not carried it through from the TAR. The venerable NCDC must not be seen as being “behind the curve”, especialy that curve. After all, which sells more journals / newspapers? Who but a blockhead would buy yesterday’s news about a mildly fluctuating sun and clouds when he can be titillated by well-modeled scenarios of catastrophic, world-in-the-balance, end-of-times? Rosenthal could have just written an article about the recent increase of jellyfish stings near a beach in Barcelona (no particular beach is cited). Instead, she implies this is world-wide event (it may well be), and demonstrates how writers, editors, readers, victims (fishermen and tourists), scientists, political leaders are all caught up in the mass-delusion. On some level this writer is afraid that her editor and even her readers would not tolerate the omission of global warming references. The scientists themselves, whose funding may be tenuous, must raise the specter of “something bigger”, since crisis = sinecure; once invoked, the words must be repeated in the article, or the writer would be negligent. On the positive side, she knows she can please her editor and titillate readers by linking her work to the catch-phrase, which will send the latter off to other corners of the ‘zine. Wily politicians must give lip-service to the larger threat to demonstrate that they are pro-active to their constituents. Constituents must demand… etc., etc, etc. Re: the earlier suggestion of a powerful rich man leading the way for skeptics with a massive lawsuit. The only people with that kind of money and the scientists to back it up are, unfortunately, oil and chemical companies. AGW is the laughingstock of every engineering college I have talked to, but Engineers are highly tied into industry, and there are no “clean hands” to fight with. Now for the kicker. Big Oil is tired of being the bad guy. They cannot and will not fight even the most absurd of environmental regulations (ie: the Texas requirement than diesel engines cannot be run before noon. This regulation includes those that the plant ordered at Home Depot and Walmart for power washing). Fighting against the environmental movement is even worse than fighting the AARP. You cannot win without losing even worse in the court of public opinion. Pingback: NCDC: Photoshopping the climate change report for better impact « Watts Up With That? This is my scenario. In about 2010, when the ability of producing sufficient energy has been reduced, the present cooling cycle will begin to seriously affect the production of food and necessities. At that point the people will dump the the global warming advocates, but it will take another ten years to recover. The years from 2010 to 2020 will be miserable and deadly world wide. Prepare. Pingback: Skeptics win one! NOAA pulls the CCSP report « Watts Up With That?